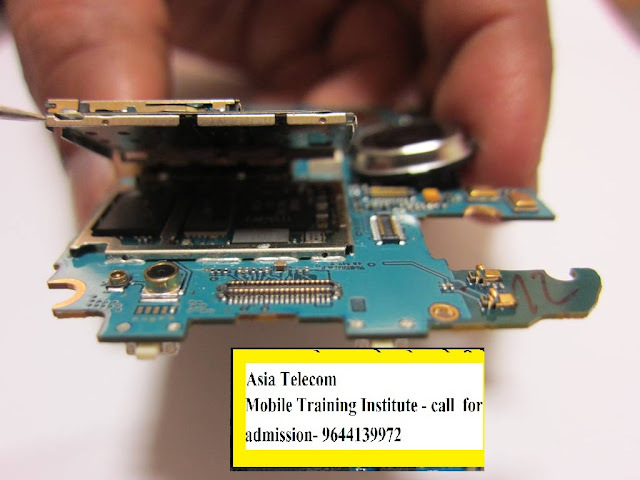 Facing network problem in your Samsung Galaxy S4 is surely a very common thing, especially after years of usage, and this is because from time to time the network hardware of S4 or any other phone worn out due to excessive usage, which might result in any of the defined problems. Too Much fluctuation in signal strength. Phone might be water damaged or physically damaged. No continuity between Antenna contacts and coils. Power amp IC might be faulty. External antenna connector might be faulty. Open back cover and frame of your Samsung Galaxy S4 and check Antenna as well as Antenna Contacts for any physical or water damage (Antenna is at the back side of Galaxy S4 frame). If it is found to be water damage then clean and re-solder antenna contacts and antenna. 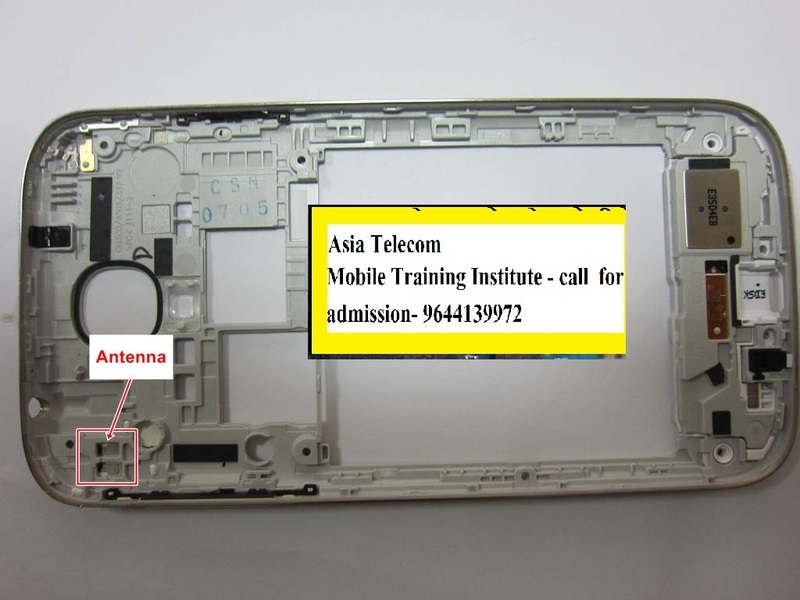 Change antenna if it is faulty and Check. Now Check Continuity between antenna contacts and coil with the help of multi meter. If there is discontinuity in the path of Antenna contacts and coil place jumper, if that doesn’t work then change the Coil. Check external antenna connector for continuity, if there is discontinuity place jumper or replace external antenna and Check. In case you are using CDMA network, check antenna wire for any cut or damage. In case the signals keeps on dropping in your Samsung Galaxy S4 then all you have to do is to Reheat or replace (if possible) Network IC as mentioned in the figure, and this thing is surely going to solve your network problems. 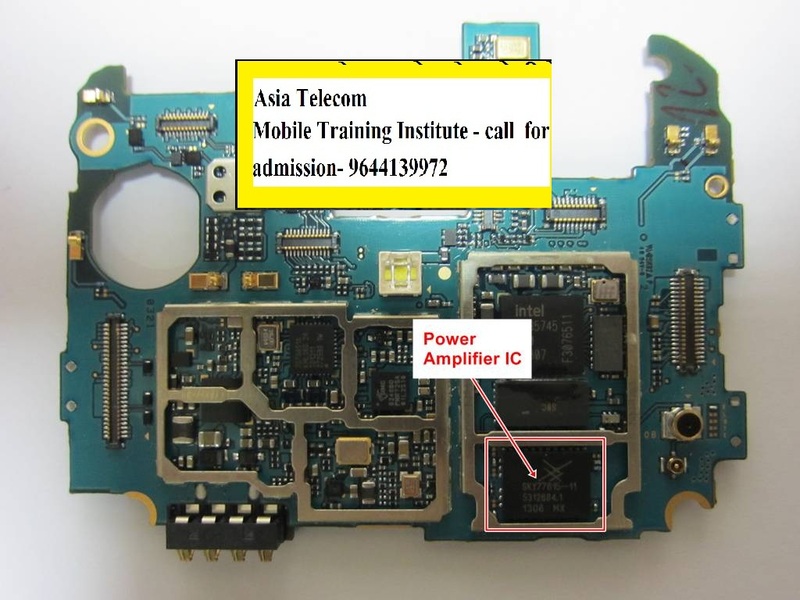 Now remove MMC and Strip assembly, as the network section is underneath that assembly. Now gently heat power amp, if it still doesn’t work then replace it.